In wearing ripped jeans, there’s a fine line between looking relaxed casual and looking like you just got mauled by a bear. These 16 overly holey jeans just crossed that line. Scroll through for celebrities wearing jeans where the destroying, ripping, and shredding went overboard. The Kardashian sisters are no strangers to ripped jeans, and Kourtney showed that she’s the most comfortable in them with these should’ve-been-shorts holey jeans. She styled her Good American ‘Good Cuts’ jeans with Vans “Old Skool” sneakers in black and white. Kourtney Kardashian in distressed jeans and a black turtleneck paired with Vans ‘Old Skool’ sneakers while out for lunch on December 13, 2016 in Hollywood. Not to be outdone, Khloe Kardashian was spotted at LAX in 2014 wearing completely destroyed jeans with suede pointy-toe ‘Paris’ pumps from Saint Laurent. Like we said, these sisters are extremely comfortable in all manners of ripped jeans. It’s ripped and sequined double denim. See Miley Cyrus’ entire hot mess of a stage outfit here. 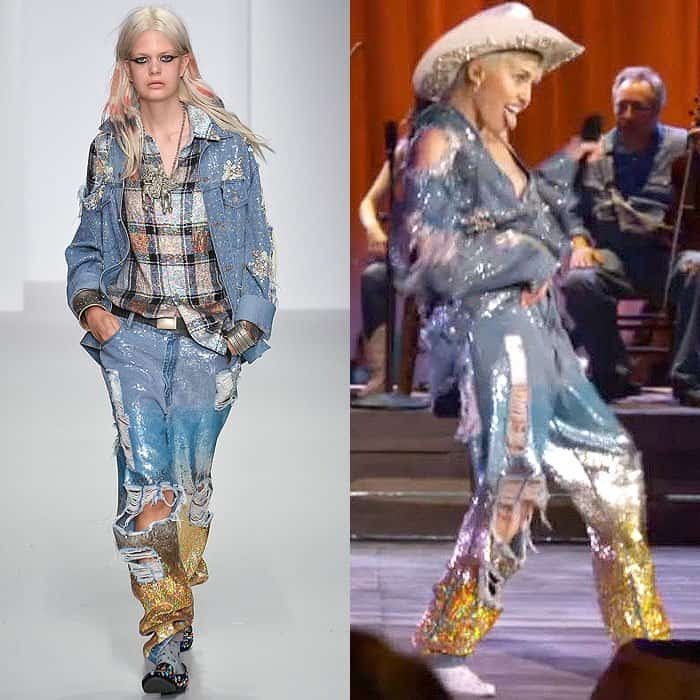 The Ashish Spring 2014 collection is the primordial fashion soup of the sequined ripped denim outfits favored by the likes of Miley Cyrus. Brandy in this outfit was business from the waist up and party from the waist down. 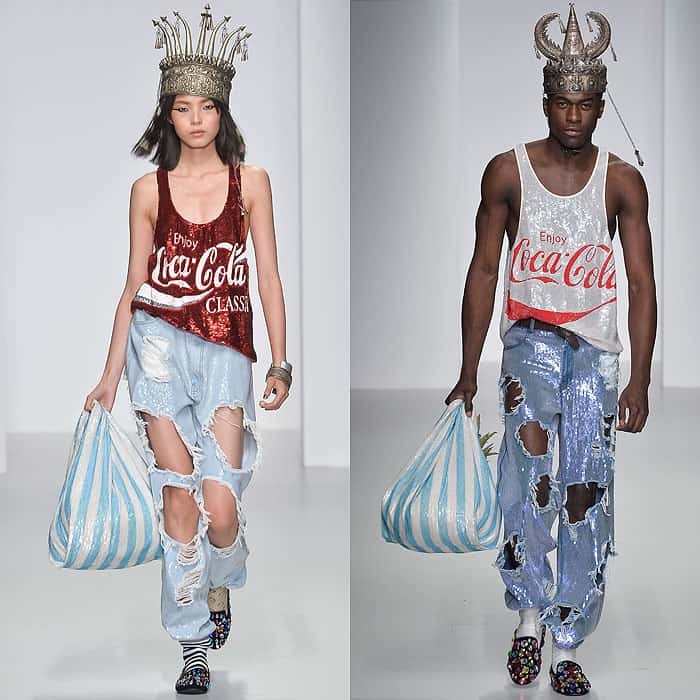 It’s actually very appropriate that Cassie wore these ripped jeans that look like they were chomped on to an event where she was set to hand out ice cream sandwiches. 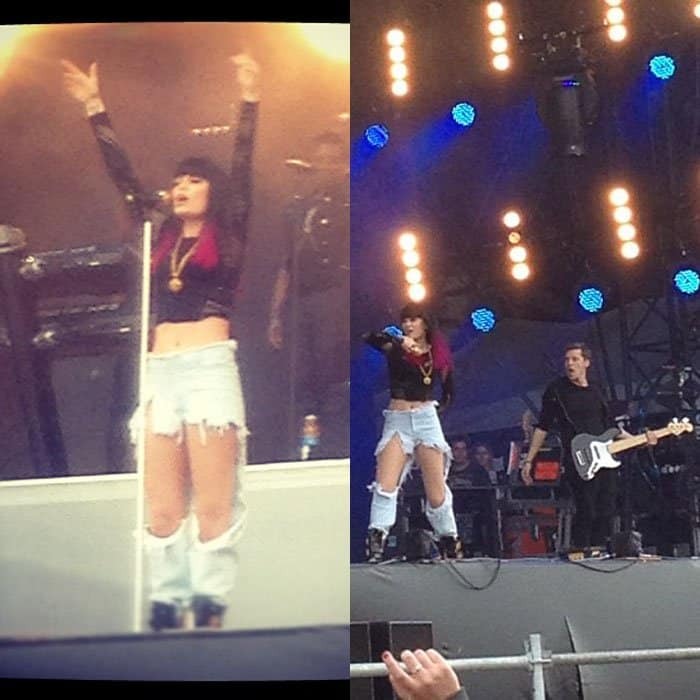 If Jessie J wanted a stage outfit that she could freely move around in, she got it in these extremely ripped jeans. Was Rita Ora feeling hot or cold in her furry sweater and ripped jeans outfit? We may never know! To be fair to Eliza Doolittle, she has had these jeans for quite some time now and the holes just got bigger and bigger. It’s Eliza Doolittle again and this time, she didn’t even bother making the rips in the square cutouts at the knees of her jeans look natural. It’s like Tamera Foster’s left knee busted out of her tight, black skinny jeans with big holes. Taylor Momsen‘s not goth-punk yet here, but you could already see the beginnings of it in her heavy eyeliner and shredded jeans. These jeans may or may not have been slashed by Wolverine. At least Hilary had the sense to pair it with an equally holey sweater. Gigi Hadid takes mixing-and-matching to whole new levels in pairing super-ripped One Teaspoon jeans with a prim blouse, a tailored coat, and stiletto heels. You can buy your first pair of ripped jeans at JustFab for just $7.49!